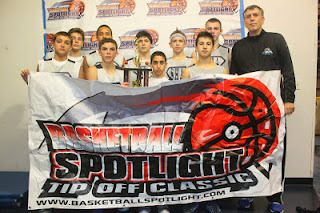 BASKETBALL SPOTLIGHT NEWS: AC Showcase 8th Grade Preview: The Moment Of Truth Has Arrived! AC Showcase 8th Grade Preview: The Moment Of Truth Has Arrived! Team IZOD Ready For AC! The Basketball Spotlight 8th Grade Division is something serious. It features some of the top teams in the country and should be something to watch. Here’s a look at who is coming down to Atlantic City for this showdown. Team IZOD: The Supreme Team enters the AC Showcase with several titles under their belt including the Clash For The Cup and Maryland Invitational. Now they must step up to the plate against the big dogs G3IE and WACG. You already know the stacked roster that this team sports. Now we will see if they can continue their winning ways. Keep an eye Nazi Reid, Atiba Taylor, Jahvon Quinerly and Luther Muhammad. 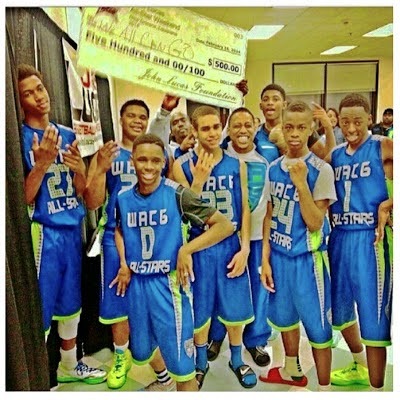 We All Can Go All Stars: Yes WACG is headed east with revenge on their mind. Team IZOD ended their national title dreams with a final four defeat now they are looking for the big payback. Their roster is loaded with national talent and we know they will be ready to explode. They feature Marvin Bagley, L'Christian Smithj, TJ Moss, Mark Freeman, Camron Johnson, Gavin Schoenwald and Darius Garland. G3IE: Attention this team plays defense like no other in the country. I can’t wait to see them lock horns with Team IZOD, WACG and the Playaz. I know that they don’t play any games when they step on the floor. They are very old schooled. Look for Kevin Easley, Antwaan Cushingberry and K.J Coleman. Playaz: PBC will be an exciting team to watch and with the addition of Markquis Nowell there’s no telling how far they can go. We anticipate them to go up and down all weekend and leave everything on the floor. Ja’Quaye James has been scoring the ball a lot lately. Hoop Heaven Elite: This squad formerly SHA Elite brings a calculated style full of deep bombs and backdoor cuts. They won the Clash For The Cup Orange Division crown and have a chance to win another one in AC. They are the team you hate to see in your pool when the schedule comes out. 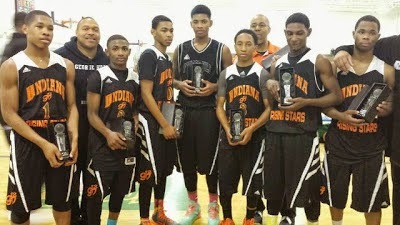 We R 1: The Delaware boys have took home a couple of championships and big man Jamal Whittlesey has been balling. I like their chances in the Orange Division of this event especially if Chris Cropper and Darius Kinnel come to play. Mass Shooting Stars: I like the way this team has been looking the last few times I saw them. Paul Durkee continues to shine and DeVandre Edmonds has found his stride. We look for them to make a deep run in the Orange Division. Team DEMI: Yes Team DEMI returns with the top backcourt in New England in Shandon Brown and Maurice Works. The cousins give defenses fits and have DEMI in a position to win most games. New Heights: I haven’t seen this bunch this year but New Heights is known for bringing a good product to the floor. Coach Of The Year winner Rahme Anderson supposed to be back the controls and all he wants to do is win. Gym Rats: The Syracuse boys are another team many don’t want to see. Their backcourt of Mike Adams and Charles Pride are one of the best in the region and capable of opening up against any team in this event. CMEK Bulls: The Bulls had some good moments during their last showing at the Spotlight Clash for the Cup. I hope they can carry their momentum to Atlantic City because the competition down there is very thick. 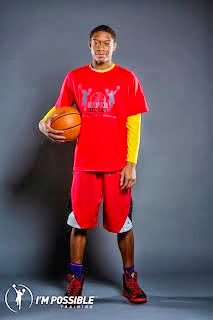 Boston Spartans: The return of Dominic Jones has the team looking for the winners circle. The have the other pieces to go around the talented wing guard to get the job done. The last time they were in the AC Showcase Kahari Buford broke the Spotlight record scoring 51 points. Team Twelve: This team brings the energy on both ends and have a dynamic duo of Theodore Senior and La’Vauhn Miller. They are still in search of their first Spotlight championship and they do have a chance in the Orange Division. We All In: Yes Wall 2 Wall and ESYC has combined to form this new squad. Both teams had some good pieces last year so this should be interesting to watch. We will feel you in after watching them rock.